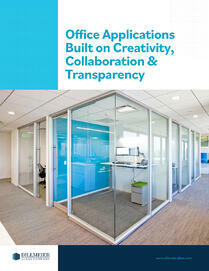 Glass office partitions are great additions to any workplace. They can be used in several ways to create a more modernized space that encourages employee interaction and improves productivity. An office's configuration, regardless of size or industry, directly affects its atmosphere and functionality. While the space should be aesthetically pleasing, it should also have a layout that makes sense and benefits the people working there. 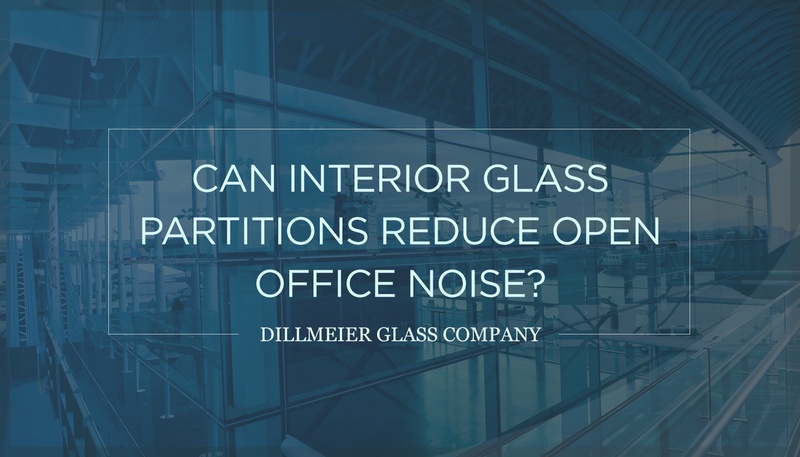 If architects wish to create a positive, productive and updated office interior, they should consider incorporating glass partitions into their designs. Sometimes all you need to do to give an office interior a makeover is add glass dividers. Suddenly, it can feel as if the workplace is brand new. From furniture arrangements to paint colors, there are many ways to make a room look larger. 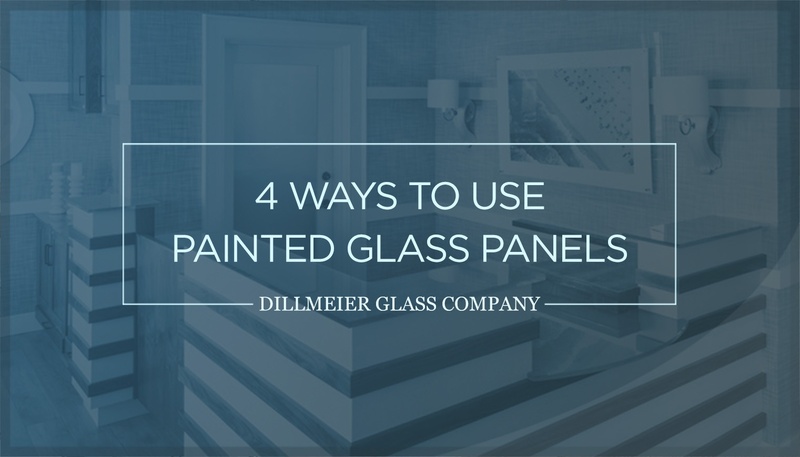 Glass partitions are one such option guaranteed to do so. 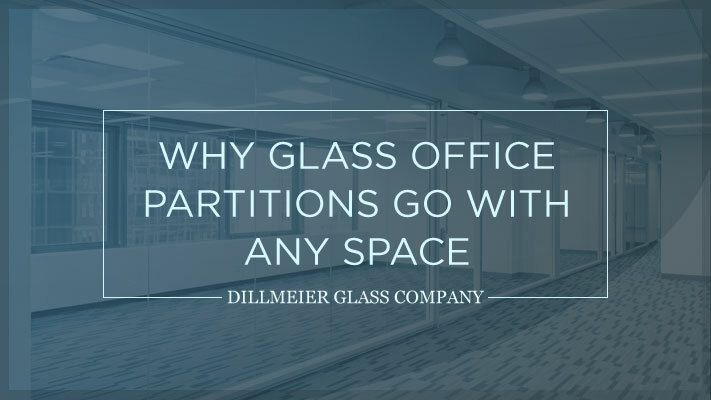 Unlike bulky dividers, glass partitions create the illusion an office space has more square feet than it actually does. This is partly due to their ability to increase natural light, which is discussed in more detail below. Dark, dreary rooms often appear crammed and lifeless. Used imaginatively, glass partitions can have the opposite effect, making the entire workplace shine, even radiate, and exude vibrance. Glass office partitions can convey a modern look of sophistication, simplicity and practicality. They also provide transparency by letting in natural sunlight. This could pose additional positive effects, in terms of employee well-being and efficiency. 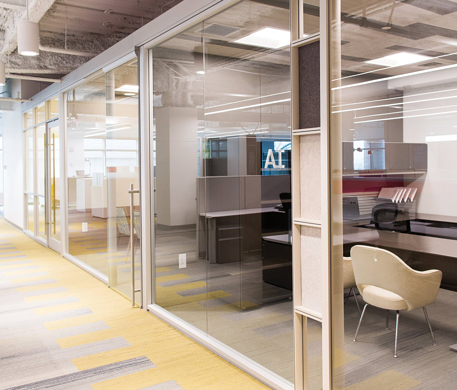 "The additional transmission of light that you get into the built-office environment tends to lead to more productivity," says Benjamin Urban of demountable wall provider Agile Interiors, the largest U.S. distribution partner of award-winning customized interiors manufacturer DIRTT Environmental Solutions. Installing glass partitions helps ensure everyone has access to natural light, even those whose work desks are not adjacent to a window. A productive work environment with high employee engagement will only help a company grow and succeed, since employees who are engaged in their work and have the energy to perform their responsibilities are going to be more active throughout the day, and thus, accomplish more. Installing glass partitions helps ensure everyone has access to natural light, even those whose work desks are not adjacent to a window. 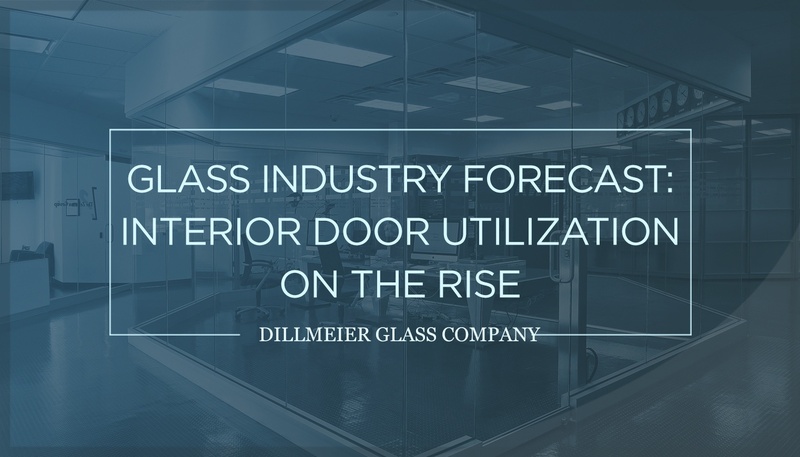 Instead of opaque, traditional drywall that blocks light from reaching the entire office—and is less versatile with very little customization options—glass partitions and wall systems welcome and embrace it. A work space that provides a productive and positive atmosphere—with employee health in mind—will likely increase employee satisfaction, as well, especially when the design also encourages communication among co-workers. Offices with a more traditional cubicle style tend to separate co-workers with non-transparent barriers. Glass partitions offer the best of both worlds, as they create more of an open-style environment in which colleagues can easily interact with one another, but help define work spaces to guarantee layout functionality. "Line of sight and productivity and collaboration are driven by people seeing one another," observes Urban. Employees are more likely to discuss ideas, ask questions and seek advice with others in their line of vision. This is important to encourage, as teamwork is critical to a company’s success. 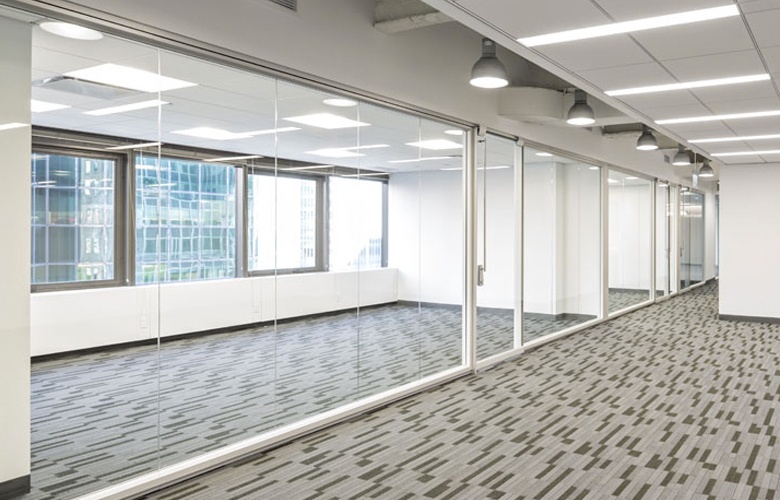 With that said, those who are looking to incorporate glass partitions in a corporate setting, but still want to maintain a certain level of privacy, are still able to do. Anyone interested in creating additional privacy among workers, without sacrificing cohesiveness, has the option of using patterned glass or frosted glass, a look that is achieved through acid-etching.  Both make the material a bit less transparent, but also add even more style to the original design. 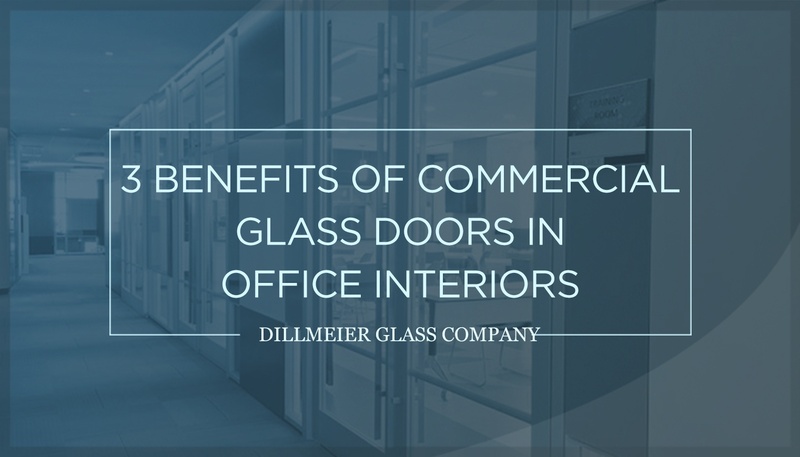 However you choose to utilize glass office partitions, they're a great way to give an old office space a much-needed facelift, or a new construction a modern and effective design, which increases employee satisfaction, improves work quality, and ultimately, results in a happier staff. As aforementioned, glass office partitions are versatile, and therefore, can be used in different ways to better the workplace function. Some are installed to establish individual offices and conference rooms, while others are placed in between employee desks to outline each person’s work space. Regardless of how they're utilized, partitions are a positive design element to consider. 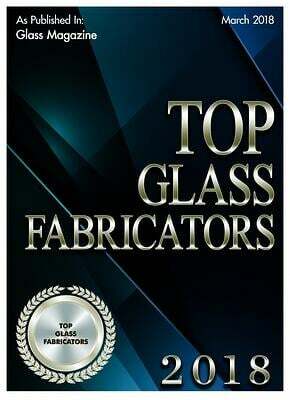 Further, there are several types of glass wall systems that can be fabricated. For example, partitions installed to clearly define a conference room may include frameless sliding or French doors. Others may not require such a feature. This all depends on the architect’s, designer’s or contractor’s vision for the space, as well as the needs and expectations of the organization. If you're interested in incorporating beautifully designed glass partitions in your next corporate project, contact a reputable commercial glass fabrication company for a custom-finished product that perfectly fits the space.